Closeup of man hand making photo of sweet dessert on mobile phone. Male photographs on the smartphone a round soft biscuit on a wooden table close up. hd00:10Closeup of man hand making photo of sweet dessert on mobile phone. Male photographs on the smartphone a round soft biscuit on a wooden table close up. hd00:08Closeup of man hand making photo of sweet dessert on mobile phone. Male photographs on the smartphone a round soft biscuit on a wooden table close up. 4k00:14Closeup of man hand making photo of sweet dessert on mobile phone. Male photographs on the smartphone a round soft biscuit on a wooden table close up. 4k00:12Closeup of man hand making photo of sweet dessert on mobile phone. Male photographs on the smartphone a round soft biscuit on a wooden table close up. 4k00:11Closeup of man hand making photo of sweet dessert on mobile phone. Male photographs on the smartphone a round soft biscuit on a wooden table close up. 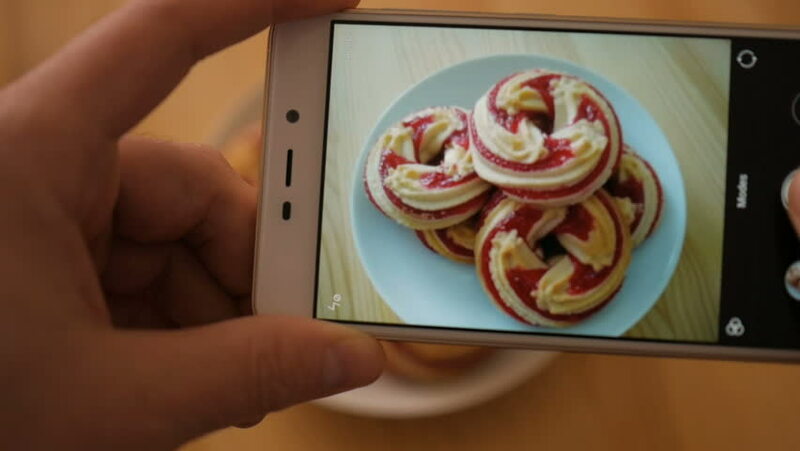 4k00:10Closeup of man hand making photo of sweet dessert on mobile phone. Male photographs on the smartphone a round soft biscuit on a wooden table close up.